This full moon’s name is attributed to Native Americans because it marked when corn was supposed to be harvested. Most often, the September full moon is actually the Harvest Moon, which is the full Moon that occurs closest to the autumn equinox. In two years out of three, the Harvest Moon comes in September, but in some years it occurs in October. At the peak of harvest, farmers can work late into the night by the light of this Moon. Usually the full Moon rises an average of 50 minutes later each night, but for the few nights around the Harvest Moon, the Moon seems to rise at nearly the same time each night: just 25 to 30 minutes later across the U.S., and only 10 to 20 minutes later for much of Canada and Europe. Corn, pumpkins, squash, beans, and wild rice the chief staples are now ready for gathering. 1859 --- The first Pullman Sleeper railroad cars were put into service on the Chicago & Alton Railroad. 1864 --- Union Army General William Tecumseh Sherman lays siege to Atlanta, Georgia, a critical Confederate hub, shelling civilians and cutting off supply lines. The Confederates retreated, destroying the city’s munitions as they went. On November 15 of that year, Sherman’s troops burned much of the city before continuing their march through the South. Sherman’s Atlanta campaign was one of the most decisive victories of the Civil War. 1878 --- Emma M. Nutt became the first female telephone operator in the U.S. The company was the Telephone Dispatch Company of Boston. 1905 --- Alberta and Saskatchewan became the eighth and ninth provinces of Canada. 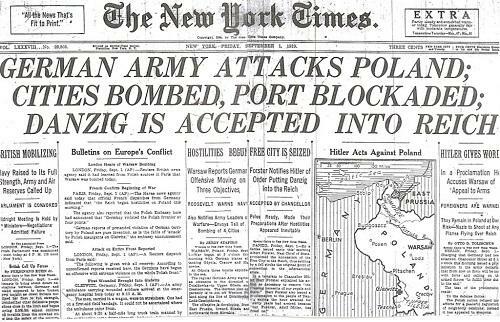 1939 --- At 4:45 a.m., some 1.5 million German troops invade Poland all along its 1,750-mile border with German-controlled territory. Simultaneously, the German Luftwaffe bombed Polish airfields, and German warships and U-boats attacked Polish naval forces in the Baltic Sea. Nazi leader Adolf Hitler claimed the massive invasion was a defensive action, but Britain and France were not convinced. On September 3, they declared war on Germany, initiating World War II. 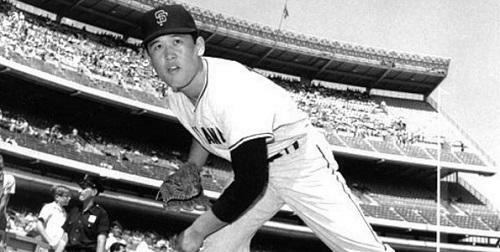 1964 --- Pitcher Masanori Murakami becomes the first Japanese man to play in U.S. baseball’s major leagues. Murakami pitched a scoreless eighth inning for the San Francisco Giants in a 4-1 loss to the New York Mets in front of 39,379 fans at Shea Stadium. 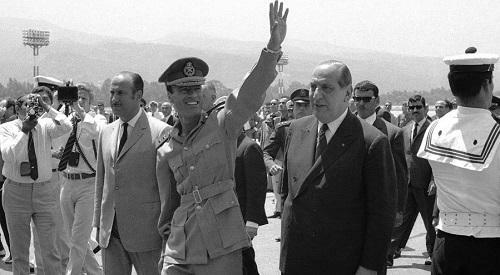 1969 --- Muammar al-Qaddafi, a 27-year-old Libyan army captain, leads a successful military coup against King Idris I of Libya. Idris was deposed and Qaddafi was named chairman of Libya’s new governing body, the Revolutionary Command Council. 1971 --- Danny Murtaugh (Pittsburgh Pirates) gave his lineup card to the umpire with the names of nine black baseball players on it. This was a first for Major League Baseball. 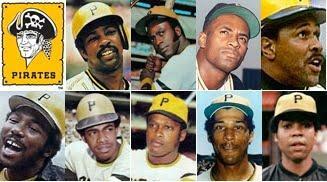 Rennie Stennett (2B), Gene Clines (CF), Roberto Clemente (LF), Willie Stargell (RF), Manny Sanguillen (C), Dave Cash (3B), Al Oliver (1B), Jackie Hernandez (SS), Dock Ellis (P). 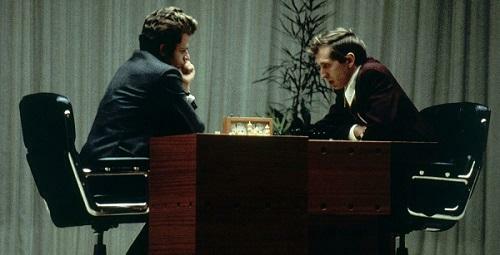 1972 --- America’s Bobby Fischer beat Russia’s Boris Spassky to become world chess champion. The chess match took place in Reykjavik, Iceland. 1979 --- The U.S. Pioneer 11 became the first spacecraft to visit Saturn. 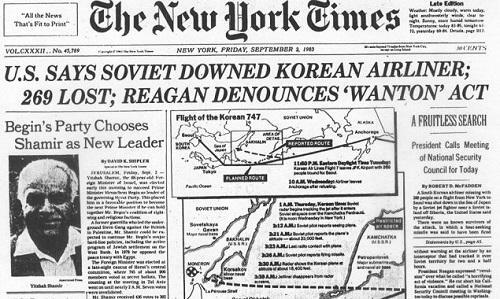 1983 --- Soviet jet fighters intercept a Korean Airlines passenger flight in Russian airspace and shoot the plane down, killing 269 passengers and crewmembers. The incident dramatically increased tensions between the Soviet Union and the United States. On September 1, 1983, Korean Airlines (KAL) flight 007 was on the last leg of a flight from New York City to Seoul, with a stopover in Anchorage, Alaska. As it approached its final destination, the plane began to veer far off its normal course. In just a short time, the plane flew into Russian airspace and crossed over the Kamchatka Peninsula, where some top-secret Soviet military installations were known to be located. The Soviets sent two fighters to intercept the plane. According to tapes of the conversations between the fighter pilots and Soviet ground control, the fighters quickly located the KAL flight and tried to make contact with the passenger jet. Failing to receive a response, one of the fighters fired a heat-seeking missile. KAL 007 was hit and plummeted into the Sea of Japan. All 269 people on board were killed. 1985 --- Seventy-three years after it sunk to the North Atlantic ocean floor, a joint U.S.-French expedition locates the wreck of the RMS Titanic. The sunken liner was about 400 miles east of Newfoundland in the North Atlantic. American Robert D. Ballard headed the expedition, which used an experimental, unmanned submersible developed by the U.S. Navy to search for the ocean liner. TheArgo traveled just above the ocean floor, sending photographs up to the research vesselKnorr. 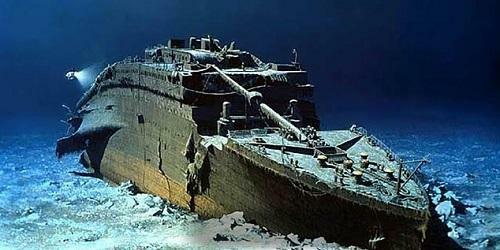 In the early morning of September 1, Argo was investigating debris on the ocean floor when it suddenly passed over one of the Titanic‘s massive boilers, lying at a depth of about 13,000 feet. The wreck was subsequently explored by manned and unmanned submersibles, which shed new light on the details of its 1912 sinking. 1995 --- In Cleveland, OH, the Rock and Roll Hall of Fame and Museum ribbon cutting ceremony took place. The museum officially opened the next day. 1998 --- The Intermodal Surface Transportation Efficiency Act of 1991 finally goes into effect. 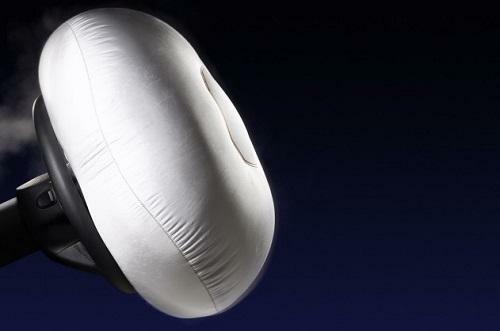 The law required that all cars and light trucks sold in the United States have air bags on both sides of the front seat. 2004 --- An armed gang of Chechen separatist rebels enters a school in southern Russia and takes more than 1,000 people hostage. The rebels demanded the withdrawal of Russian troops from the disputed nearby region of Chechnya. September 1 was the first day of a new school year for millions of students across Russia, a day of celebration in schools that both parents and students traditionally attend. 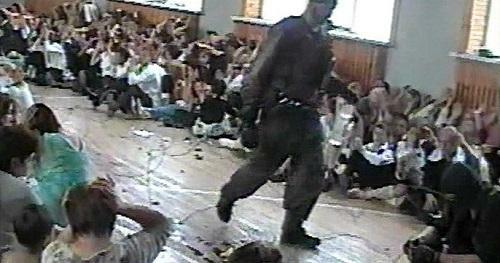 Nearly 340 people, about half of them children, died in the ensuing three-day ordeal.More than 1,100 people were taken hostage by heavily armed Chechen militants at a school in Beslan in southern Russia; more than 330 people, most of them children, were killed during the three-day ordeal. 2007 --- Into the Wild, a film directed and co-written by Sean Penn and based on the true story of a young adventurer who died in Alaska, debuts at the Telluride Film Festival before opening in wide release the following month. 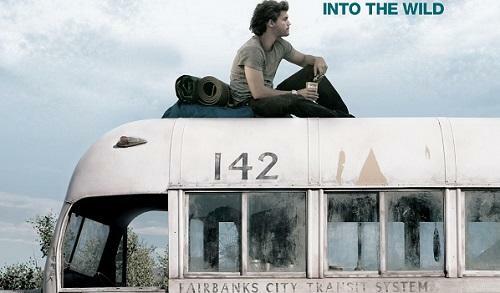 Into the Wild was based on Jon Krakauer’s 1996 best-selling non-fiction book of the same name about Chris McCandless, who, after graduating from college in 1990, dropped out of society, gave away his money and car and began wandering around the United States. He eventually traveled to Alaska, where he spent several months living in the wilderness, sleeping in an abandoned bus and keeping a journal chronicling his thoughts and experiences. In August 1992, McCandless died at the age of 24, possibly of starvation or from eating some toxic seeds. His body was discovered in the bus several weeks later. 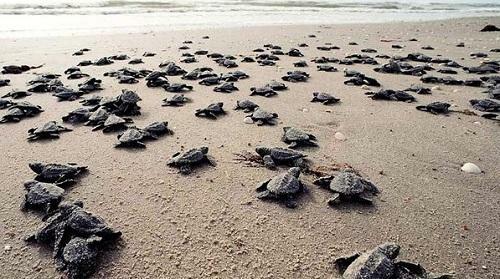 2009 --- New Fisheries Regulations in The Bahamas gives full protection to all Marine turtles found in Bahamian waters by prohibiting the Harvesting, Possession, Purchase and Sale of turtles, their parts and eggs.